Date (பேரிச்சம்பழம்) is the most commonly available dry fruit that is rich in iron, calcium and potassium. Date fruits are sweet and can be consumed as such. 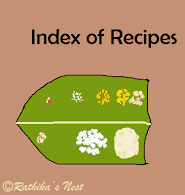 They are also used for making some traditional preparations like panchamirtham (பஞ்சாமிர்தம்) and sweet chutney among others. 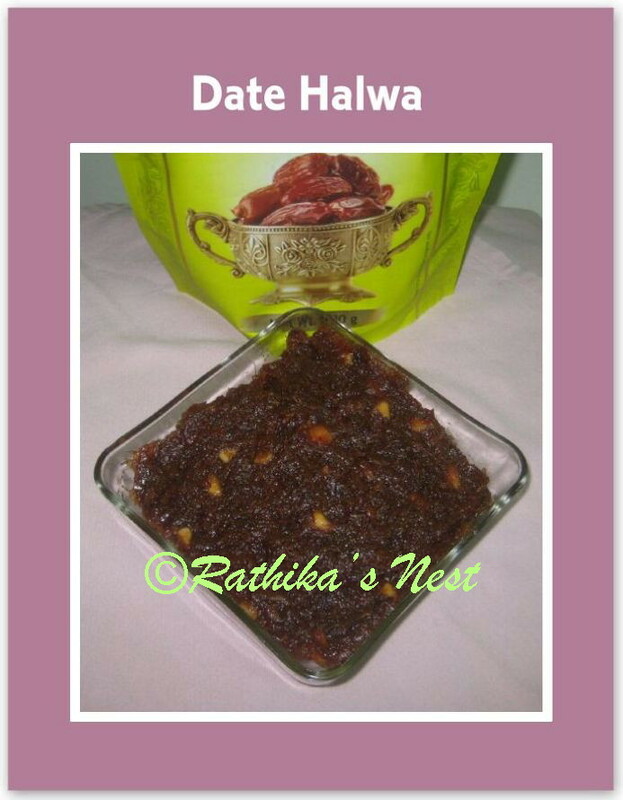 Today let us make date halwa (பேரீச்சம்பழ ஹல்வா), a simple sweet that can be prepared in no time. *If the dates are not very sweet, you may increase the sugar quantity to ½ teacup. Method: Heat 1 teaspoon of ghee in a spice pan and fry cashew nuts till they turn light brown in color. Keep aside. Mix the dates with milk and bring the mixture to boil in a kadai. Once the milk is absorbed, add sugar. Mix well and cook on low flame. Now add the remaining ghee and blend the contents together. Add fried cashew nuts and continue to cook on slow fire till the halwa separates from the sides of the kadai. Your date halwa is ready! Switch off the stove and transfer the contents to a dry container. You may serve this sweet as a dessert.